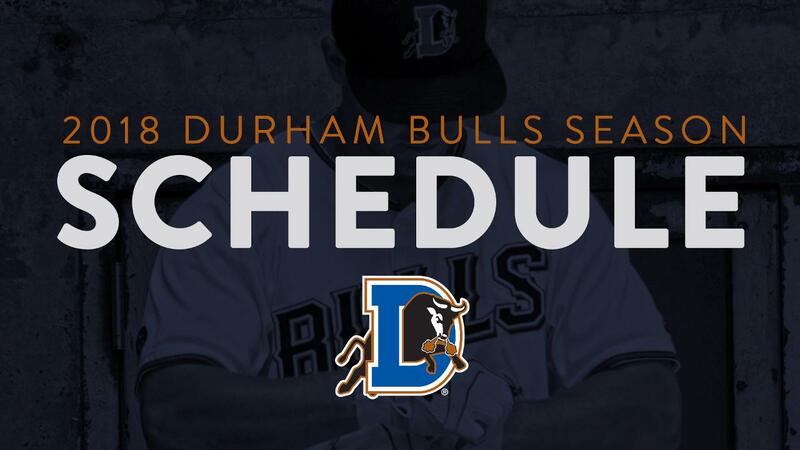 The Durham Bulls have announced their home schedule for the 2018 International League season. The team will open its 70-game home slate on Thursday, April 5 against the Charlotte Knights, and conclude the DBAP schedule on Monday, Sept. 3 against the Norfolk Tides. The Bulls will kick off the 2018 regular season at the DBAP at 6:05 p.m. on April 5 with a postgame fireworks show. Additionally, Durham will host home games on Father's Day (June 17), July 3 and Labor Day (Sept. 3). The Pawtucket Red Sox, Triple-A affiliate of the Boston Red Sox, will make their annual visit to the DBAP for a weekend series from June 1-3, and the New York Yankees' top affiliate Scranton/Wilkes-Barre RailRiders will travel to the DBAP for a three-game weekend set from August 10-12. The 2018 schedule features 11 Friday, Saturday and Sunday contests, with 22 fireworks shows to follow Bulls games. After a one-year absence, the ACC Baseball Championship will return to Durham in 2018. While the Bulls are away for an eight-game road trip, some of college baseball's best teams will battle for conference supremacy at the DBAP from May 22-27.